Spoken by an estimated 110 million people throughout the world, French is one of the most widely spoken languages and a recognized language of diplomacy. Some of the countries where French is an official language include France, Belgium, Switzerland, Luxembourg, Canada, Monaco, Algeria, Gabon, Morocco, Senegal, Côte d’Ivoire, Rwanda, Burkina Faso, Niger, Burundi, Madagascar, Haiti and Mauritius. While French is the 18th most spoken language in the world, it isn’t uniformly homogenous and there are noticeable differences that can exist. Getting a professional French translation of your document with the right dialect can be challenging. To ensure you receive an accurate translation, appropriate for your target audience, we use only experienced native translators in France, Quebec and Algeria. Native speaking, in-country Portuguese translators live and breathe the language they translate into. This helps ensure that you receive the highest quality, culturally sensitive translations possible. 24 HOUR TRANSLATION is the fast, reliable industry leader for professional French translation services. Because we hire technical experts who are also experienced linguists, we can guarantee the accuracy of our translations. In addition, our French translators are located throughout the world so that we can accommodate special needs for regional language nuances. In addition, because we employ hundreds of professional French translators on almost every continent, we are able to offer language translation services at any hour of the day and on any day of the week. We have a well-established French translation customer base of highly satisfied individuals, law firms, industries, hospitals, engineers, universities, government agencies and others. At 24 HOUR TRANSLATION SERVICES, we have a vast pool of qualified in-house translators throughout the world. Thus we can assign technical translations to the most qualified individuals, based on their credentials and positive feedback. What’s more, because of our large size and market share, we can accept all French translation requests anytime of the day and on any day of the week. We offer the additional benefit of having in-house French translators who perform a final quality check on all French translations before they are delivered to the customer. This is a service we provide free of charge to ensure accurate content and cultural nuances. Marketing – Brochures, Websites, Catalogues, Proposals and Quotations. 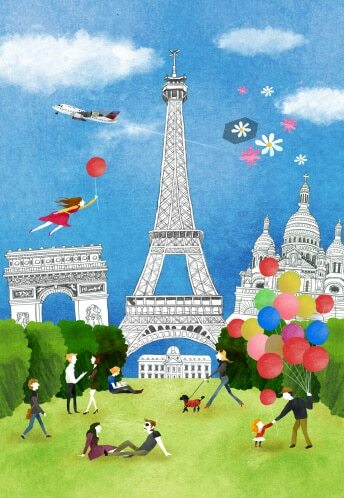 • French is a significant language in Viet Nam, Cambodia and Laos, together formerly called French Indochina. The French in all three countries is based on standard Parisian French. • In Viet Nam, when French explorers and merchants replaced the Portuguese around 1790 and established colonial rule, French became the governing language, replacing Vietnamese and royal court Chinese. Although the country today speaks mainly Vietnamese, French remains the language of higher education and professions. Recently Viet Nam has become a destination for other Asians to study French, as well as a home for expats returning from France and Canada. • In Laos, French is a diplomatic and commercial language, studied by over a third of Laotian students. • Almost wiped out of Cambodia as a result of the Khmer Rouge massacre of the educated population, French declined earlier and faster in Cambodia than is Laos and Viet Nam. Today it has returned as a diplomatic language.